As time goes on I’ll be updating this section of the website to give you information on trusted wedding vendors together with helpful pages about key wedding venues not only in Bournemouth but across Dorset and Hampshire. There’s also a great feature that I introduced last year – “Meet the Wedding Expert“. As a Dorset wedding photographer I know the difficulties that couples can face when choosing their wedding suppliers – photography, venue, flowers, wedding dress, hair and make-up, planning, styling and transport. Type in “Dorset wedding photographer” or “wedding florist in Dorset” or any combination of wedding service and you’ll get dozens if not hundreds of results. The results at the top of the rankings may not necessarily be the best in terms of service, so how do you make your selection and find the right wedding supplier for you? I’ve decided to try and help you out a little by recommending some Dorset wedding experts. Meet the Wedding Expert – what’s it all about? This feature’s intended to showcase just some of the suppliers that I know and trust. Having photographed weddings in the Bournemouth area and across Dorset over many years I’ve come to know quite a few wedding specialists and seen their work. I’ve worked with them many times and know that they consistently deliver excellent service. 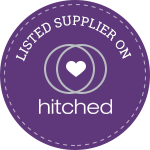 I’m often asked by wedding suppliers to add them to my trusted wedding vendors page in return for a reciprocal link back to my website. However, unless I’ve worked with them several times I won’t do this. Why? Because I want to make sure that anyone I recommend is going to give my client an outstanding service – I’m not interested in building links in an attempt to increase my own Google rankings. I’ll never recommend anyone who I’ve not worked with – after all, my reputation’s on the line as well, isn’t it? Hand on heart, I can recommend anyone who’s featured in this series. In “Meet the Wedding Expert” over the forthcoming weeks we’re going to be talking with some of my favourite wedding suppliers in Dorset and Hampshire. These aren’t in-depth interviews …. think of them as more of a chat over a coffee and a piece of cake. Hmnn, cake! 🙂 Just “getting to know them” a little better. After that it’s up to you – you have to make the all-important decisions about who you’re going to trust with your wedding day but hopefully this little series of mine will help you along the way. Of course, if you’ve not booked your wedding photographer yet then please get in touch – I’m delighted to be a recommended photographer at a number of leading Dorset wedding venues and I’ll be delighted to have a chat with you about what you’re looking for with regard to the wedding photography. PhotoBooth Bournemouth – lots of fun for the evening! Superwed Cars – a great selection of vehicles, including a Routemaster Bus!